Back in 2014, I wrote about how Minnesota’s House 60B is different from Minneapolis City Council Ward 6. The objective of the essay was to highlight the fact that any Somali-American candidate challenging Rep. Phyllis Kahn will have to appeal to the majority community. Ilhan Omar has done it. In Tuesday’s primary she carried almost all the precincts in the district. 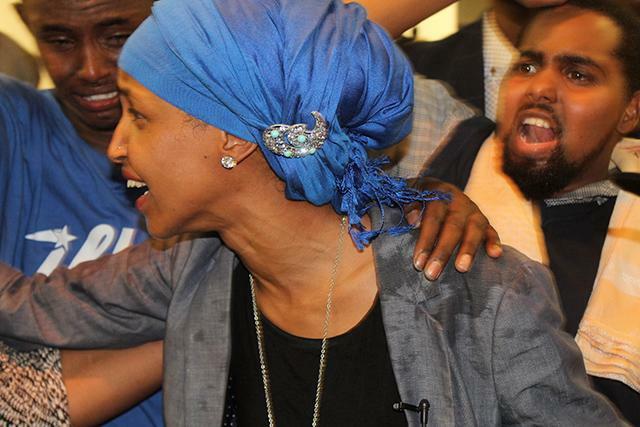 She is expected to cruise to victory in the general election in a district that heavily leans DFL, making her the first Somali-American state legislator. However, she will have to legislate after the celebration. She can draw lessons from the missteps of Minneapolis Council Man Abdi Warsame in order to do that effectively. Warsame was elected in 2013 to the Minneapolis City Council. Enthusiasm for his political leadership has dampened since. Reasons include fallout from Warsame’s support for Kahn in the 2014 primary against Mohamud Noor. Tension in the community rose so high that it led to the rescheduling of caucusing in one precinct in a predominately Somali neighborhood. A deluge of negative press coverage with Warsame in the headlines followed. Moreover, Warsame spent considerable time and effort strengthening the community’s political connection to Somalia. The importation of Somalia politics only increased division and infighting among Minnesota’s Somali community. Warsame’s efforts to name streets after Somali towns and leading the charge for Minneapolis to become a sister city with a city in Somalia are examples of not moving the community forward on important issues. The alternative was to work toward political integration with mainstream Minnesota. Political symbols such as those pursued by Warsame bring Somalia’s political unrest to Minnesota and increase acrimony among the community while decreasing harmony. Warsame also made another key error. Instead of putting his head down and pulling the wagon at least in the first few years in pursuit of tangible results for his Ward 6 constituency and working tirelessly to communicate his efforts, he gravitated toward celebrity status and projected an image of wanting to be the sole voice for Minnesota’s Somali community. That projection rubbed some in the community the wrong way. Somalis experienced authoritarian leadership and nothing aggravates them more than monopoly tendencies for power. Omar has the perfect opportunity to exhibit a different leadership style and avoid similar pitfalls. I know she can, but I don’t know if she will. I met Omar in 2008. She wanted to become politically more involved. We sat down for coffee and discussed plans for her goals. There is no doubt she has the innate ability to solve problems and a high potential to bring positive impact to Minnesota’s Somali community. The starting point for realizing that potential is to de-emphasize Somalia politics and emphasize more the issues impacting the district, including education, jobs and housing. Her Somali constituency will be among the biggest beneficiaries if she delivers on these issues. So will the students at the University of Minnesota and the working families in the district. Avoiding Warsame’s missteps and exhibiting a different leadership style could put her on a higher platform — a platform she could use to effectively articulate pressing issues facing Minnesota’s Somali community. Jamal Abdulahi is a long time community organizer, blogger and an essayist. He writes about politics, the economy and Minnesota's Somali-American community.